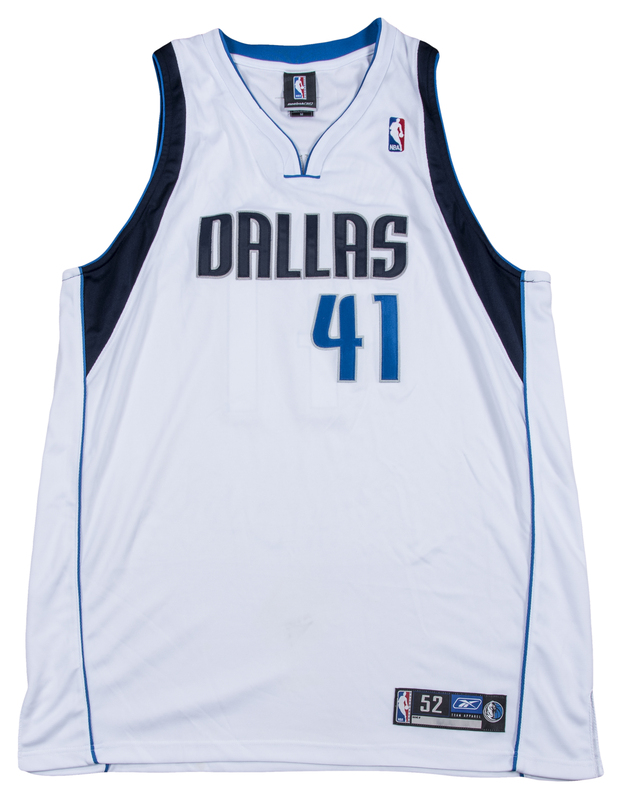 Dirk Nowitzki has signed this white Dallas Mavericks home jersey. 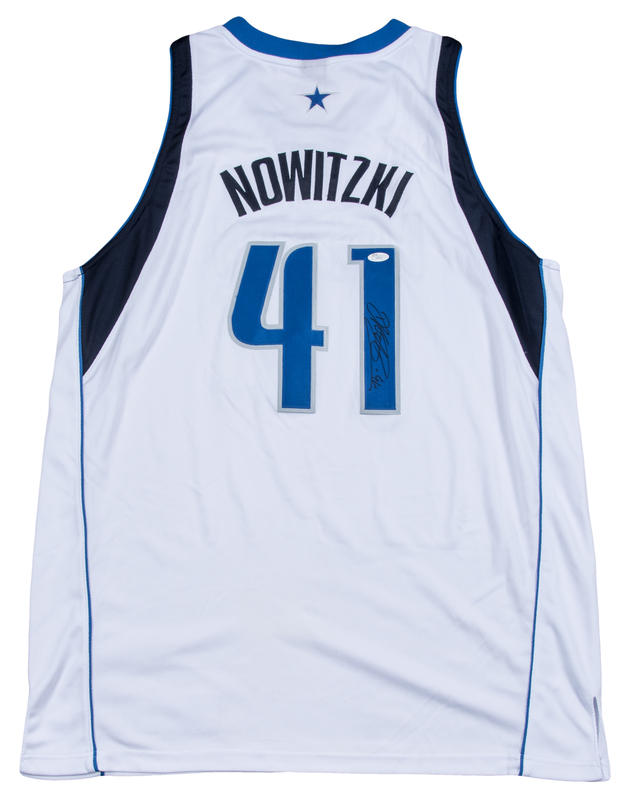 Nowitzki, a first round pick in 1998, is one of the greatest European imports in American sporting history. The German big man is a 13-time All-Star and the 2006-07 NBA MVP. He has scored over 31,000 points in his still-ongoing career, good for sixth place on the all-time scoring leaders list as of the beginning of the 2018-19 NBA season. 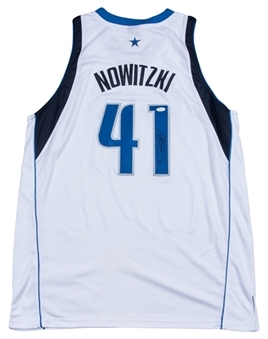 Nowitzki has signed the “1” digit on the back of this jersey in black marker. 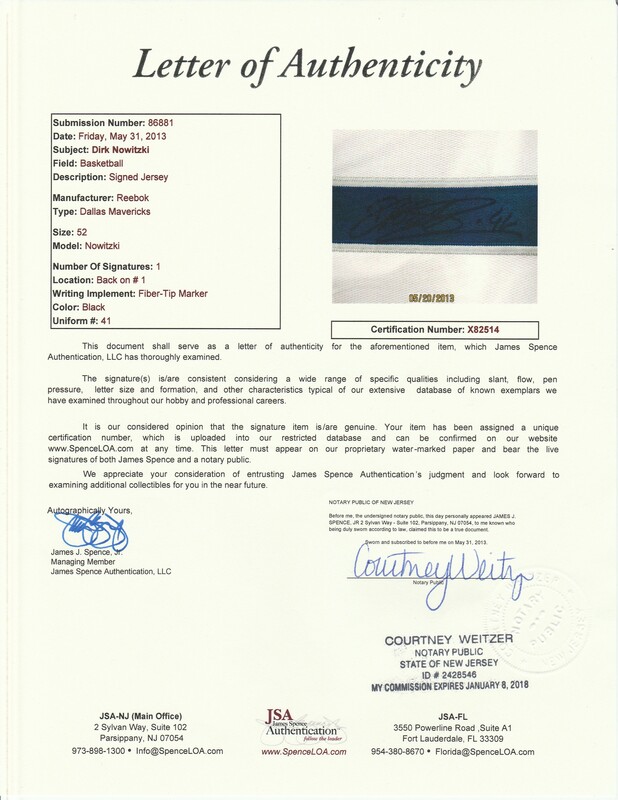 This jersey comes with a LOA from JSA (X82514).